MAVERICK - Drop Filmclip for "Nothin' to Lose", November Tour Dates On Sale Now! Maverick are straight fire. The 5 piece punk/metal band from the South Eastern suburbs of Sydney are today dropping serious heat with their brand new filmclip for single Nothin' To Lose. Filmed around a steadily rising bonfire, the video seems almost cathartic - the band seem to be unleashing everything they have into the ether and piling up more and more fuel for the fire. The sparks fly and the intensity increases throughout the filmclip. Single Nothin' To Lose was released on Friday October 19 and promptly was played on triple j's Short Fast Loud and added to Rotation on The Faction. The single and video comes ahead of a string of East Coast tour dates in November! 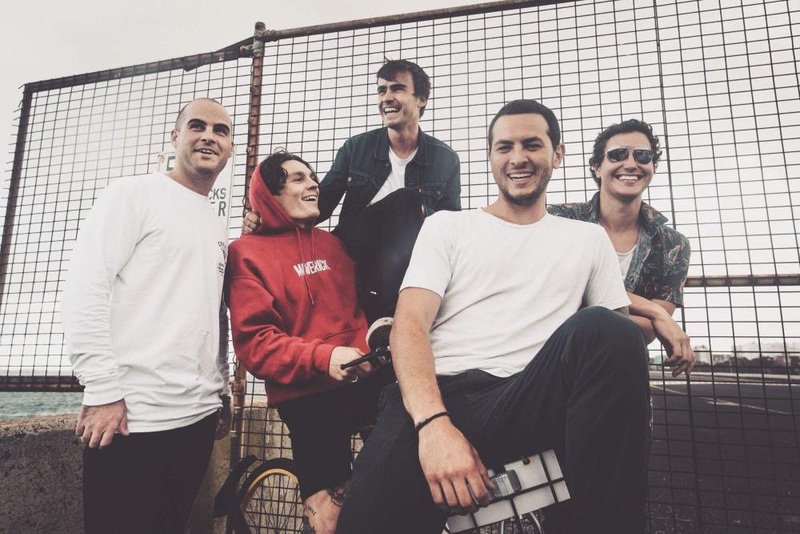 Maverick have shared the stage with US legends Unwritten Law to local heroes Trophy Eyes and Hellions, not to mention consistently featuring on some of the heaviest lineups in Sydney, the guys constantly find themselves entertaining fans of a variety of different music tastes. They will take the stage to showcase at Australian Music Week's inaugural Heavy Music Showcase on November 8. 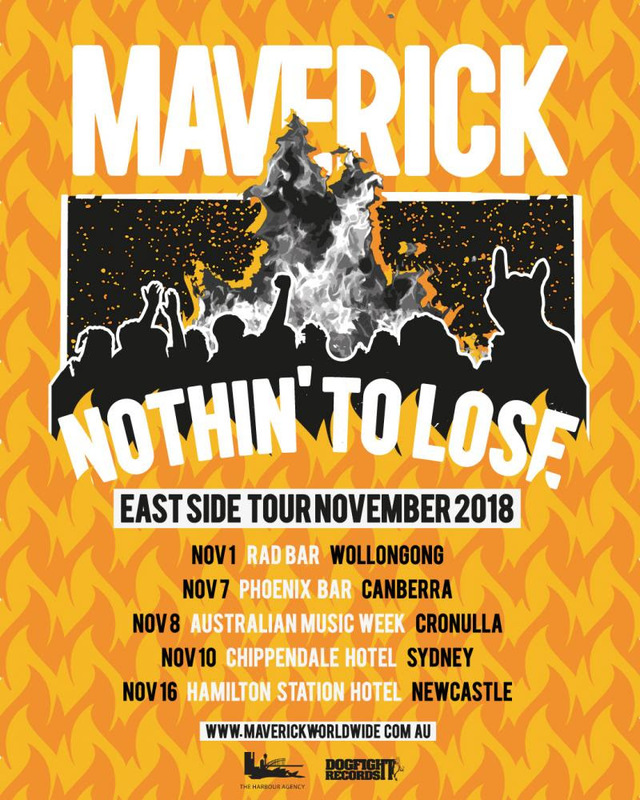 Tickets to the Nothin' to Lose tour are available at maverickworldwide.com.au. The tour kicks off November 1 in Wollongong at Rad Bar on November 1, Canberra at Phoenix Bar November 7, then November 8 at Australian Music Week's showcase at Carmen's at Miranda, on to hometown Sydney November 10 at Chippendale Hotel, and blowing out the tour at Newcastle's Hamilton Station Hotel. Lyrically, the song explores the concept of removing things from one's life to focus wholeheartedly on what is really important, something one learns being in the early stages of a band's life cycle. Everyone has things that act as 'Energy Vampires' in their lives and being able to identify them and effectively remove them is essential for progression. The hope is that the track can inspire others to take a look at where they're spending their time and potentially make changes for the better.